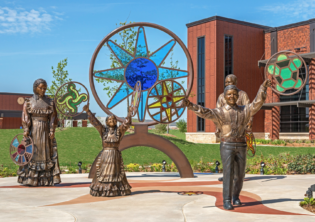 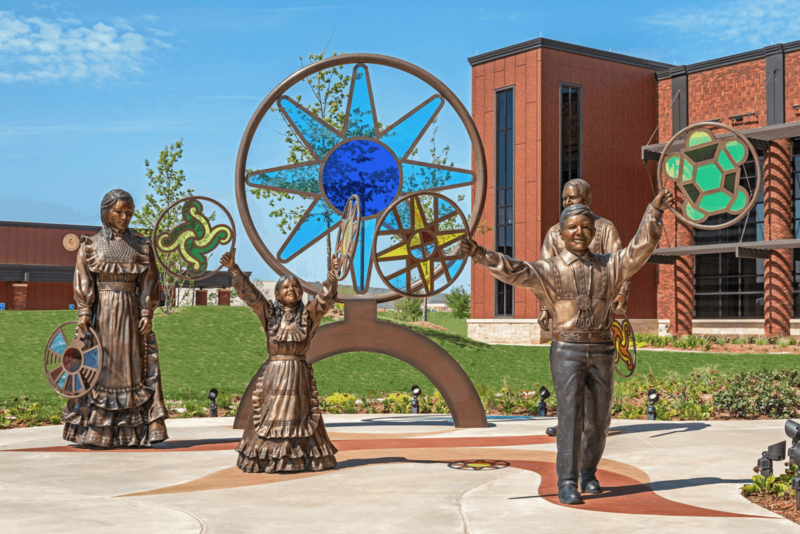 Located outside of the entrance to the Choctaw Nation Regional Medical Clinic in Durant, Oklahoma, these four bronze figures represent the Choctaw Nation and its ancestral roots. 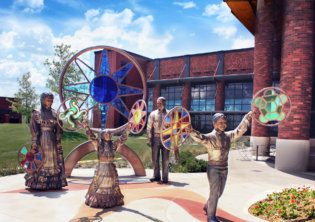 With grace and warmth, they welcome patients, visitors and medical staff to the clinic. 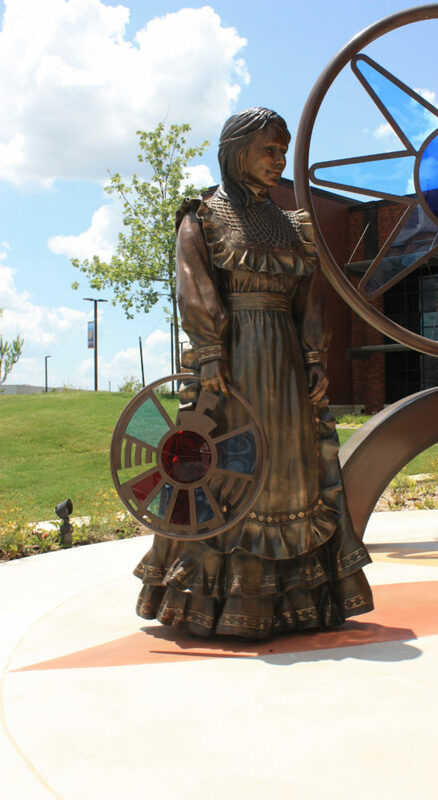 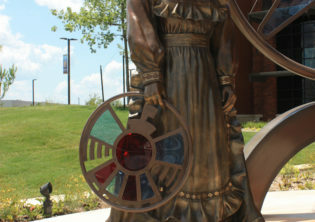 Each larger-than-life sculpture is dressed in traditional Choctaw dress and jewelry, and each holds a “spirit hoop.” The hoops, cast in bronze and filled with colorful acrylic panels, reflect colorful shadows on the ground when the sunlight shines through them. 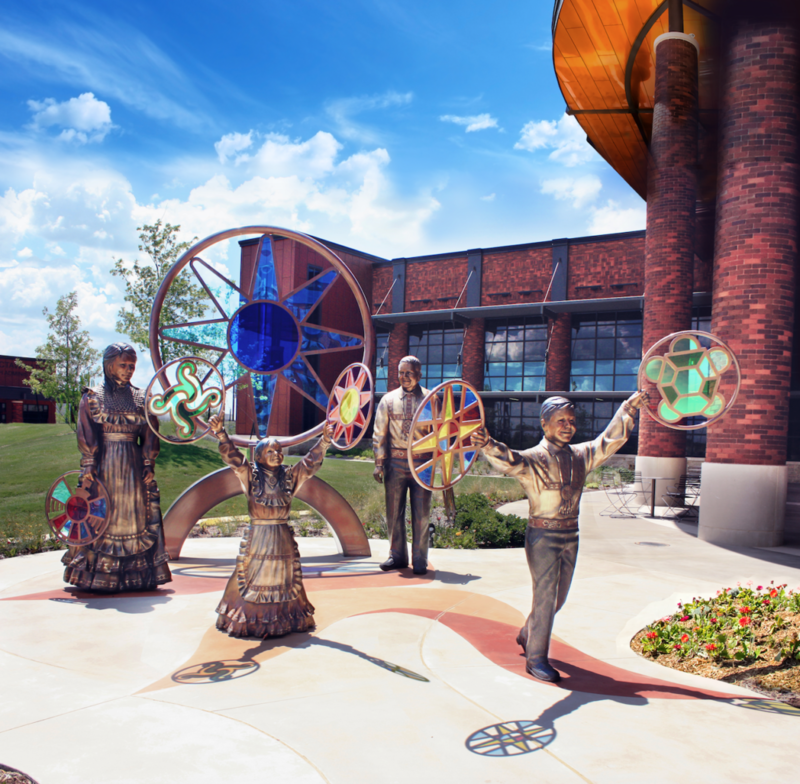 Behind the four figures is a larger spirit hoop, also cast in bronze and accentuated with colorful acrylic panels.